A beautiful ring, featuring an emerald-cut diamond that is encircled by a row of high quality French-cut Colombian emeralds. The emeralds are surrounded by a row of F color, VS clarity round diamonds. The center diamond is 1.72ct, F color, SI1 clarity and is certified by the GIA. 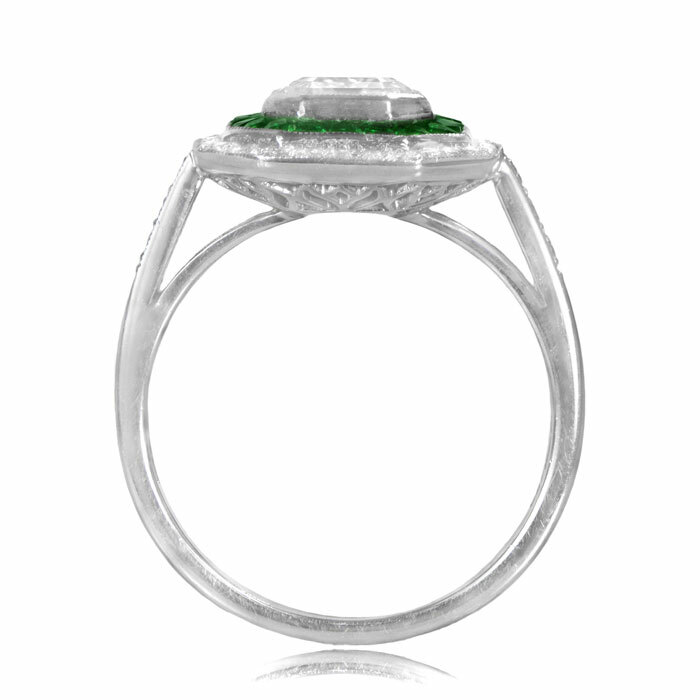 The row of emeralds are calibre-set and the row of diamonds are pave set. 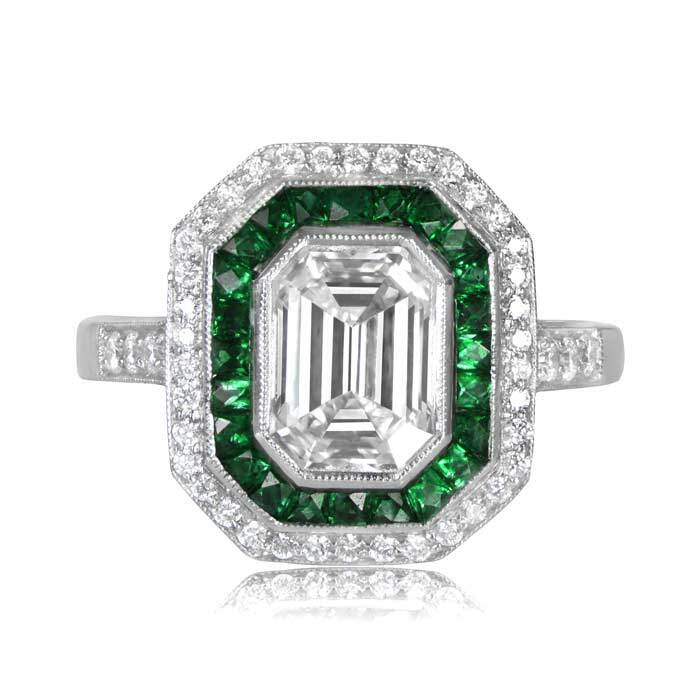 The measurements of this emerald cut is 7.89 x 5.77 x 3.93. The diamond has a good polish and symmetry. This ring sits low on the finger and is size 6.5. We can re-size the ring to any size upon request. To take a look at a similar ring, click here. 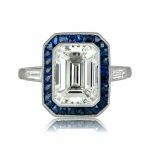 If you have any questions about this beautiful emerald cut diamond ring, feel free to contact us. We will respond within 1 business hour. 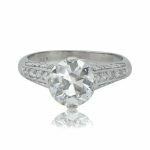 SKU: 8416 Category: Vintage Engagement Rings - Contact us and request additional pictures.